We were probably walking towards the bench that I had been visualizing for a while and setting a dream intention of, but didn’t get there as I was woken up by the kids, nevertheless this walk of ours felt amazing and so so real, leaving this extremely warm and happy trail of an after-feeling in the morning. Interestingly, we were walking in the same street where I got your last visitation of the moon. I wonder if this means anything by itself. But I do feel a huge surge of energies in these places when I now walk there after having had these dreams and it feels very strong – this sensation that I have really been here and experienced what I experienced in the dream. For some reason you told me you did not have much of a selection of t-shirts (being now a free spirit) and that if I wanted I could get you another one (probably, through the power of visualization). I looked at the t-shirt and it was dark blue with some white writings. I even recall the texture of the fabric, so light and semi-transparent. But I couldn’t read the writing. I guess this was again an attempt to give me a trigger, which I missed as always. Instead I grabbed you by the arm and hugged you dearly leaning on your shoulder and smiling so as to say that I don’t really care what you’re wearing, it’s just great to walk like this by your side, my dearest friend. One interesting thought that visited me later in the day was that the fact of you appearing in my dream with me fully realizing that you have passed away doesn’t trigger me to lucidity as something unusual. It IS unusual to walk with a spirit/ghost and still I think to me you are so much alive and I so truly believe in your existence in the afterlife that I don’t take it as strange. One other nice coincidence (sign) was seeing a young man in a dark blue t-shirt with writings pretty similar to those of yours today when I was walking in that very part of the street. I even thought I had to take a closer look and read what was written as there could be a message. The next thing I remember in the dream was someone calling my name. We stopped, looked all around but didn’t see anyone familiar. So I just decided this was a call for someone else and you said there couldn’t be anyone else, I’m the one and only. This reminded me of the phrase that my daughter asked me earlier all of a sudden and which I thought were your words put into her mouth. And the last thing I remember right before waking up was you saying: “Oh those fears of yours and his”. I don’t understand what fears you would be referring to and who the HE could be, but it keeps me thinking. Perhaps you were talking about the past and why it didn’t work between us, that it was all because of some stupid fears. And the HE is your physical self who is now just one of the many versions of yourself the eternal. The other possibility is that you were giving me a hint that it was because of fears that I could not fully become lucid in a dream or reach out to you in the astral. But then I don’t know who the HE is in this case. And then I feel like I am free from fears, now that I know life is a lesson, we are eternal, I have no fear of death, even some fascination with it, and when one is free of the fear of death, they lose fear of anything else. This last riddle is going to give me a hard time. But I like your guidance, the way you make me more aware, more thoughtful, inspired and full of love towards you, me, the unknown and this beautiful life. 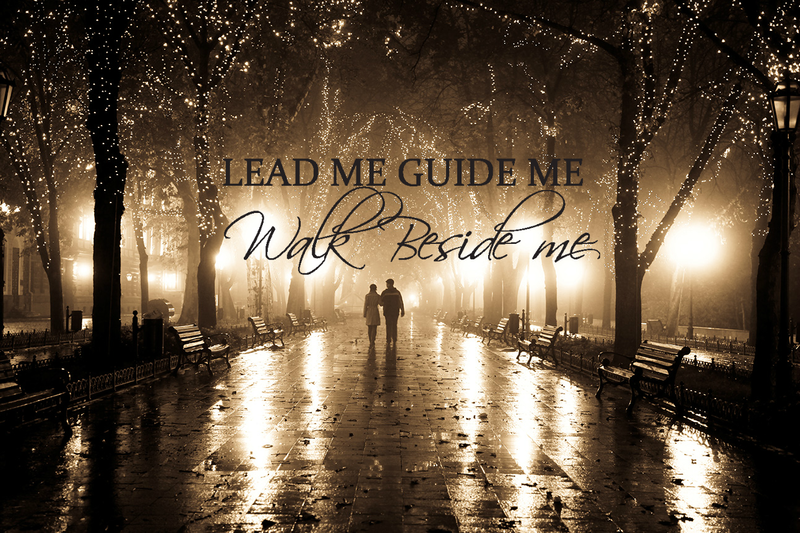 So yes, please, lead me, guide me and walk beside me…more often.